The question for most organizations is not whether to modernize SAP―it’s how to do so most effectively and efficiently. Enterprises run their most business-critical applications and workloads using SAP and can’t afford to keep them on siloed legacy infrastructures that can’t deliver the speed, performance, agility or price efficiencies needed by today’s businesses. The world is changing fast, powered by exponential data growth, big data analytics, cloud-native applications, the Internet of Things (IoT), highly mobile workforces and rapidly accelerating development cycles. To stay competitive, you must be able to integrate easily and innovate efficiently, leveraging technologies such as SAP HANA, NetWeaver, artificial intelligence (AI) and blockchain. If you are to truly embrace digital transformation, you must also embrace SAP modernization. And do it quickly. Typically, this type of modernization effort would entail a mammoth upfront capital investment in new technology, including software-defined architectures, all-flash storage, network fabrics, and converged and hyper-converged infrastructures. It would also take substantial time for the migration, draining precious IT resources for many months, if not years. There has to be a better, faster and easier way. Fortunately, there is. Welcome to the new era of SAP modernization in the cloud. Past concerns about putting mission-critical workloads in the cloud may have been legitimate at one time but are no longer valid today―if you choose the right cloud platform and providers. Need to innovate: Nearly 70% of IT decision-makers say it is imperative to focus on innovative solutions to business problems. By embracing technologies such as AI, the IoT and blockchain, IT can better leverage SAP to develop new products, new ways of interacting with customers and new process efficiencies. 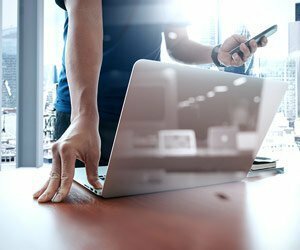 Line-of-business influence: Business leaders are taking a greater role in directing IT investments, with less than half of businesses relying solely on IT to fund technology purchases. As businesses embrace digital transformation, business users are demanding that SAP business processes and data be transformed to yield greater value. Drive for IT flexibility: Nearly 65% of IT decision-makers use the cloud to reduce their hardware and software maintenance burden, while another 61% use it to increase IT agility. By maintaining traditional SAP deployments, you are consuming IT resources that could be better diverted to more strategic initiatives. Power of SAP HANA: With SAP discontinuing support for the SAP Business Suite with traditional databases in 2025, many businesses are accelerating their decision to migrate to SAP S/4HANA, “thus enabling them to benefit from the flexible and powerful cloud-based SAP platform immediately,” Frost & Sullivan says. Of course, not every cloud provider or platform is focused on delivering the tools, resources and services you need to successfully leverage the cloud for SAP modernization. Because SAP is so critical to your business, you must choose a provider that offers both managed cloud services and professional services, with extensive experience in SAP installations and migrations. Your cloud managed services provider should assist with SAP workload assessment, migration planning and migration to the cloud, working with industry-leading SAP certified partners. You should also require ongoing optimization and management of SAP workloads, as well as SAP implementation on SAP S/4HANA. You also need easy access to technology innovation, so you can drive competitive advantage now and in the future. This includes analytics and AI, the IoT and blockchain. You want to be able to easily integrate third-party applications and microservices into SAP applications, with APIs and templates available with the cloud platform. The time is right for SAP modernization, and the cloud provides you with a path that is modern, efficient and safe—if you choose the right platform. Throughout this special site devoted to SAP modernization in the cloud, we provide you with insight into what to look for in a solution and how you can leverage the cloud to drive digital transformation through AI, along with full migration services and other key capabilities. Let the journey begin.